The best thing about refinancing your mortgage is that you’ve been through the home loan process before — but a lot may have changed since then. And there are more refinance lenders and more loan options now than ever. Some refinance lenders offer the latest in online capabilities, others specialize in Federal Housing Administration or Veterans Affairs loans, and others will still discuss your loan options with you face to face. NerdWallet has picked some of the best mortgage refinance lenders in a variety of categories so you can quickly determine which one is right for you. Ideal for refi borrowers with little time. 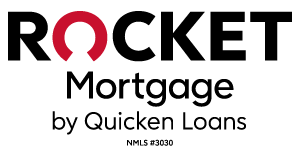 Rocket Mortgage brings smart-phone app convenience to the refinance process. And online income and asset verification speeds the process. Ideal for refinance customers in the states it serves. 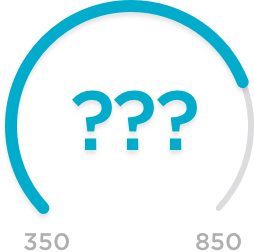 Lenda doesn’t charge upfront origination or broker fees on refinance loans, which close in around 36 days. Ideal for military-connected customers looking to refinance. Veterans United's streamline VA refis require a lot less paperwork with lower closing costs. Ideal for refinancing any way you want: in person, online or over the phone. With branch locations in 22 states, Chase has a strong face-to-face presence, but refinancers can apply through other channels, too. Ideal for the homeowner who wants to refinance, but needs help figuring out which type of mortgage to choose. SunTrust offers a broad range of loan types, including FHA, VA, USDA and conventional mortgages. Ideal for homeowners who are looking to refinance into conventional, FHA or VA mortgages. Guaranteed Rate works with almost anyone with a good credit score and stable income. Ideal for borrowers who like options. Bank of America offers multiple refinance loans, including FHA, VA and cash-out. Ideal for homeowners who want to refinance their mortgages in any state but Alaska and Hawaii. Connexus aims to make the application process as seamless as possible through its online portal. Ideal for borrowers who like to save money. Through Alliant's Advantage Mortgage (AAM) program, borrowers may be able to refinance and eliminate mortgage insurance with just 5% equity.